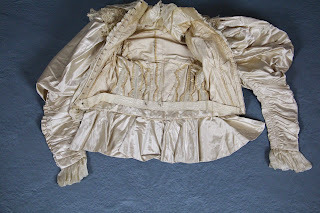 The bodice is boned with 12 steel pieces and has a peplum detail. 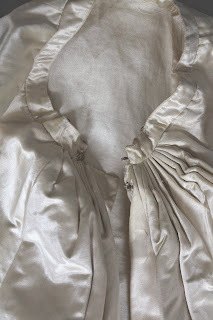 The Georgette Fabric is around the collar, with 2 bows on each side, pleated around front and ruched at neckline. 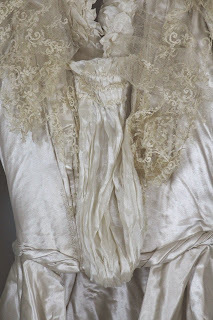 The lace runs like a shawl around the top part of Dress in two layers. 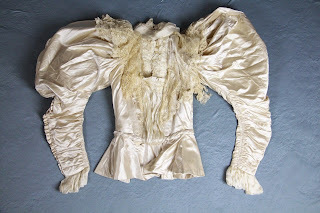 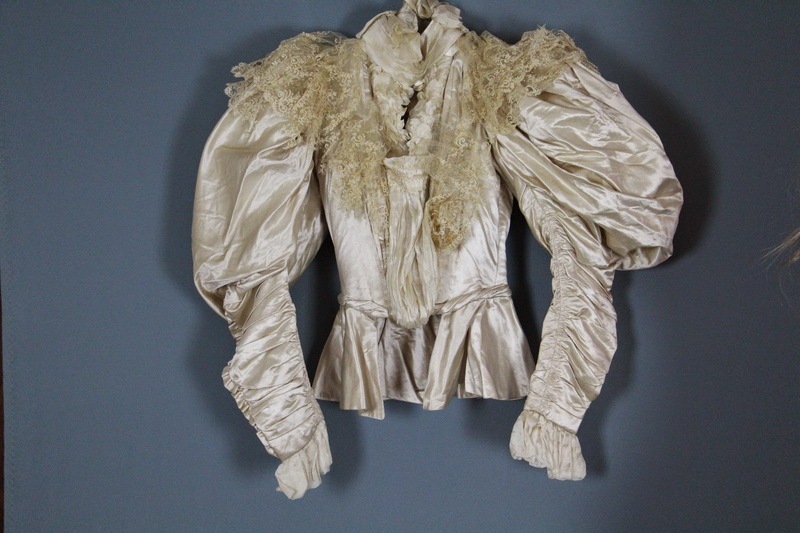 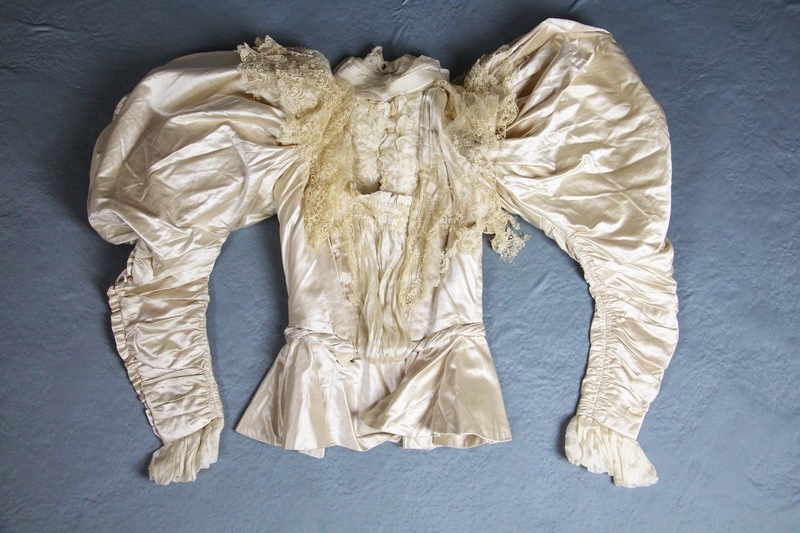 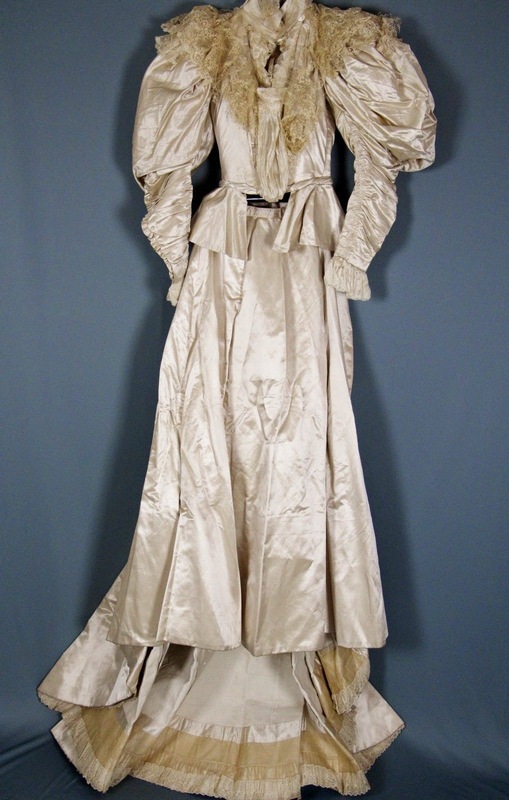 The corseted bodice also features very large “leg-o-mutton” sleeves. 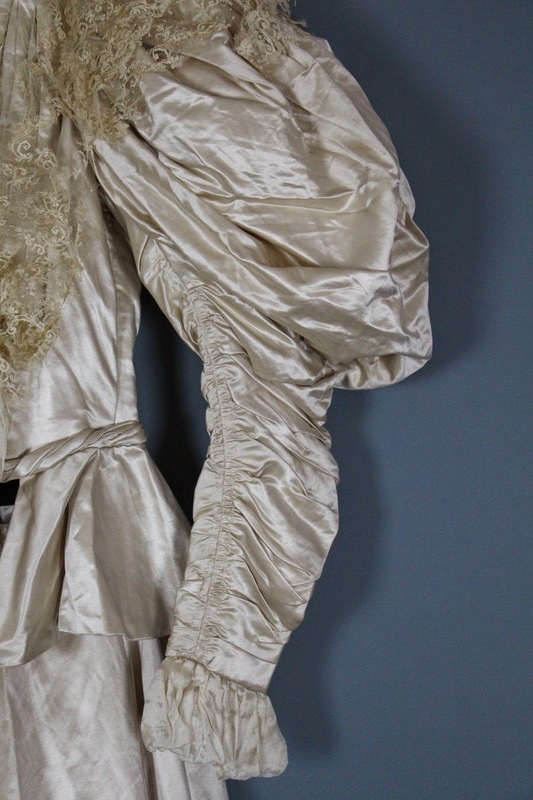 Leg-o-mutton sleeves further accentuate the narrow waist of the hourglass silhouette. 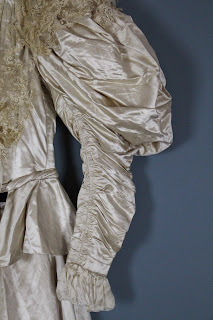 The sleeves are tightly fitted from bellow the elbow to the wrist, they are draped and end with a georgette ruff. 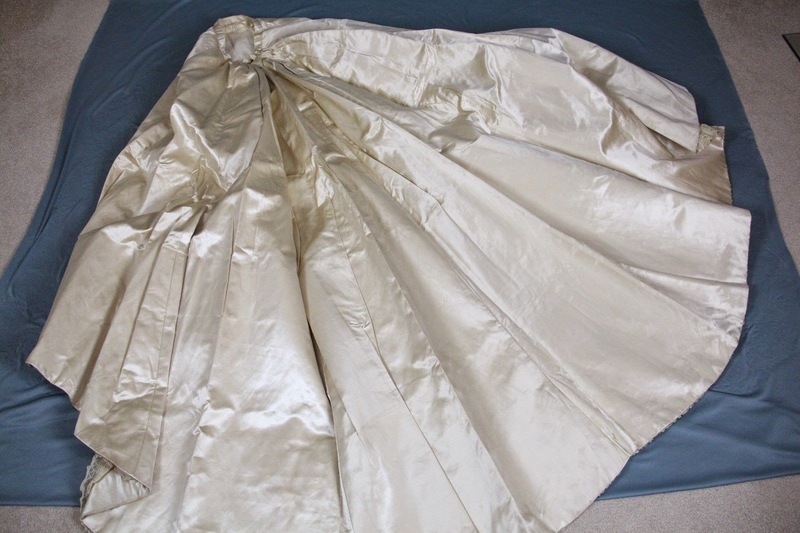 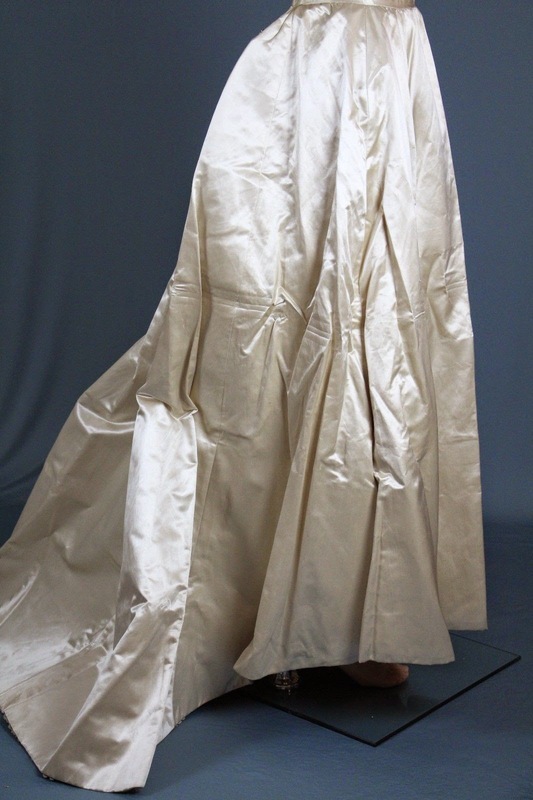 The skirt is also made from corded silk sateen and features a heavy train, lined with draped lace and heavy fabric. It is draped in the back and uses hook and eye closure. 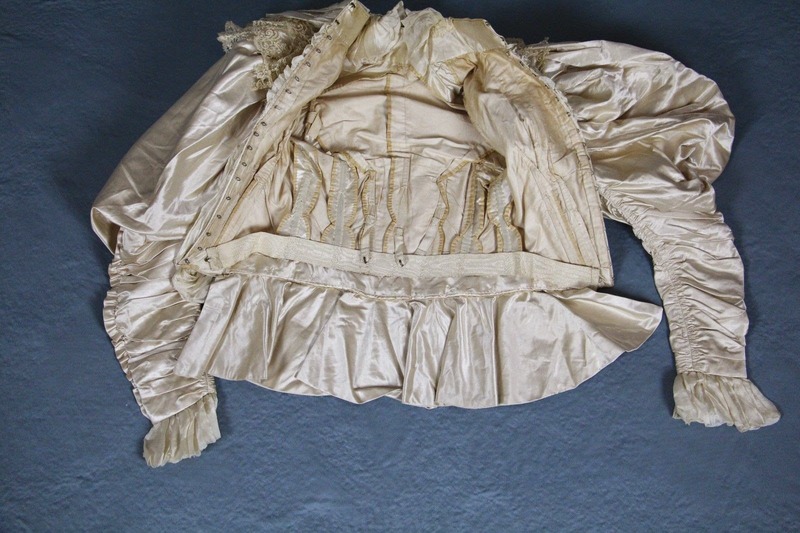 The bustle diminished in size in the early 1890s, and by 1893 it was just a padded stay. This is Museum quality dress! 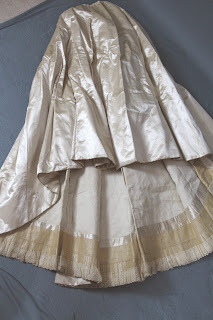 The skirt can be let loose since because it is gathered in multiple pleats but the bodice will be more complicated though not impossible if you plan to wear it. 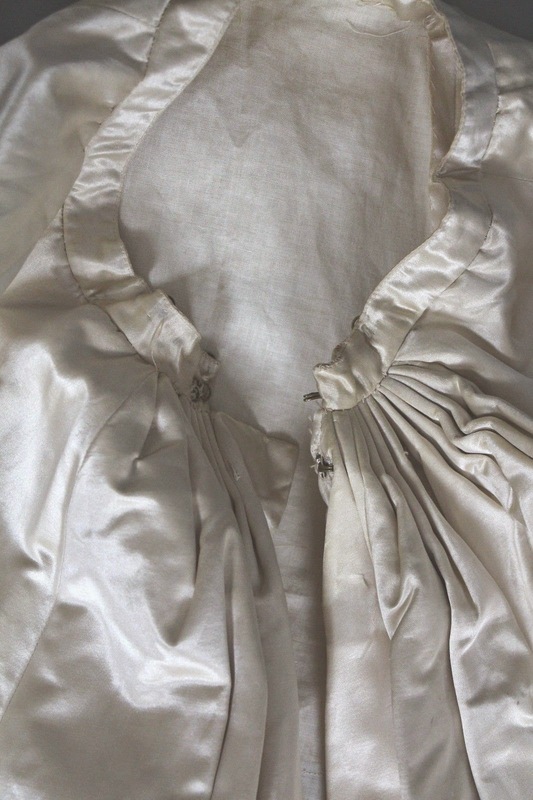 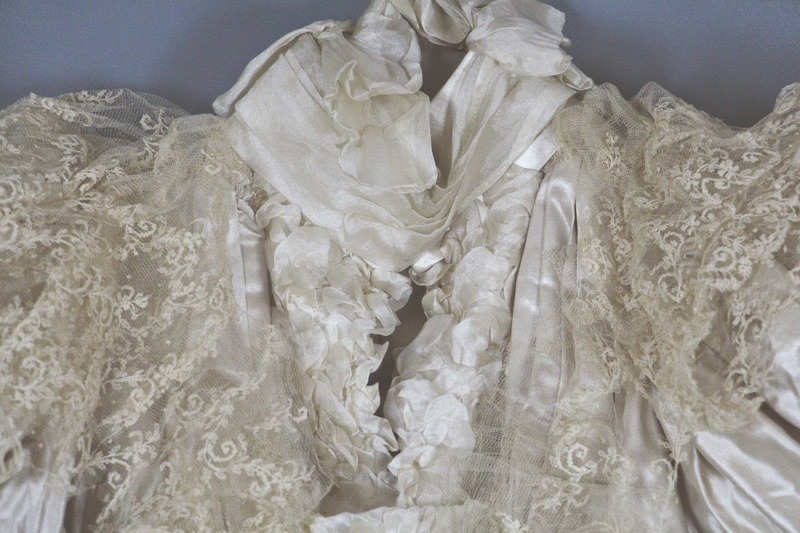 Condition: AS IS, overall great antique condition, with no tears noticeable in the silk and georgette, the only problem is the wraparound lace shawl ruff, it is torn and is very brittle, some parts are still holding tight but the edging is loose in places. Can be pulled out completely and the dress will still look fabulous, or stitched up and reduced in size, the lace is large. THE BRIDE AND GROOM PHOTOGRAPH IS NOT INCLUDED IN THIS AUCTION!!!! This is stunning. I love seeing the old photograph along with the dress - it helps greatly to understand how it looked when worn.